'...a highly professional, academically authoritative and well-annotated piece of work.' - Curtis Keeble, Daily Telegraph This book, by expert researchers of the Radio Free Europe/Radio Liberty Research Institute, covers the dramatic events which led to the collapse of the USSR including analysis of the difficult process of building democracy in the first year of the Commonwealth of Independent States. 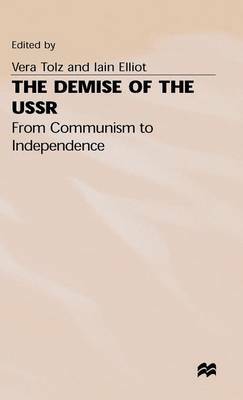 Using a wide range of sources in the main languages of the former USSR, specialists contribute chapters on political, military, and economic developments, while other experts trace the path to independence taken by the countries emerging from communist rule.